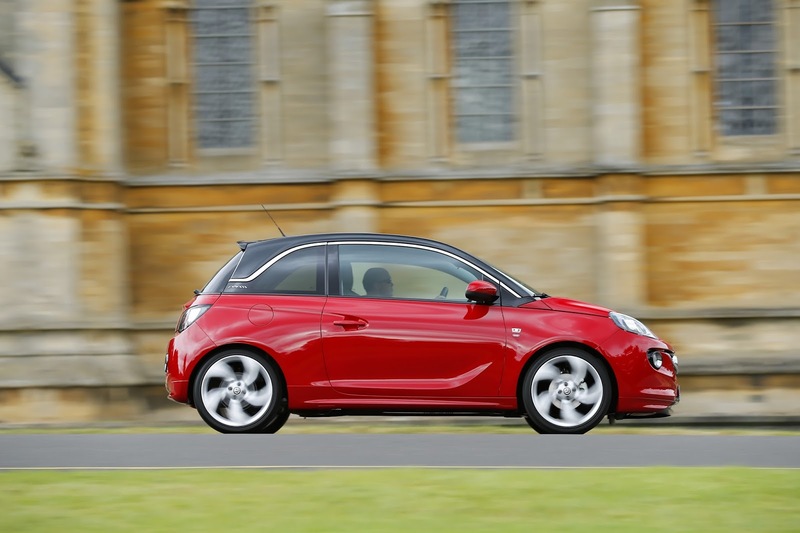 It has been well documented on this website how few Vauxhall Adams have been seen out on the road but we’ve finally got one to test. So I get in the Adam, drive just half a mile and see TWO other Adams going the other way- there must be loads around! The main feature that Vauxhall are pushing is that the Adam has over 30,000 customisable options which gives huge scope for personalisation. So it is intended to be bought new, set up to your personal preference and kept for a while - especially if you have a particularly unique taste. It is not therefore, expected to do well on the second hand market. Smooth, calm and relaxing. I drove the 1.2 petrol (70ps), although it was a bit gutless and I would prefer the 1.4 litre but it was perfectly adequate for town driving and the occasional dual carriageway/ motorway. It’s not a car to take on a track or handle like a Lotus down the back roads. But what did you expect? It's Vauxhall’s flagship “funky” vehicle, driving through town you certainly get plenty of second glances as it looks great! The interior is really where you are able to exercise your creative side. The seating position is very comfortable. You definately wouldn’t be uncomfortable on a long journey. The heated seats, climate control, parking sensors, cruise control and blind spot sensors (that light up if there is a car in your blind spot) all make the driving experience pleasurable. One feature I particularly liked was the “citygo steering” which transforms the already light steering to ultra light. There is no real need for this, but that doesn’t mean I don’t like it. Likewise with the changeable mood lighting. The in-car entertainment system was great, really easy to use and intuitive. However, it lacked much substance because on this particular car there was no sat nav even though there was a large, clear touchscreen which was only being used to control the radio. Automatic headlights and windscreen wipers also mean you have less to do while you drive, and give you more time to admire the classy, gloss plastic and leather interior. Well... not really. Disappointingly so to be honest. Rear leg room was only suitable for very young children and the boot would only fit a few bags of shopping at a push. The parcel shelf isn’t connected to the bootlid making it difficult to load the boot, especially with your hands full. No. I’d pay the extra £2000 and have a Corsa, or the new Clio, which looks fantastic, and I was lucky enough to briefly drive last week. The Adam looks good, is loaded with options but lacks practically unless this is your second car for a young family, otherwise it is effectively a comfy, funky 2 seater.